0	0	One Sparkly Christmas Night	In Stock - Order before 2pm for same day dispatchWant it on Wednesday 24 April? Lead your preschoolers into this glitter-flled world of wonder. 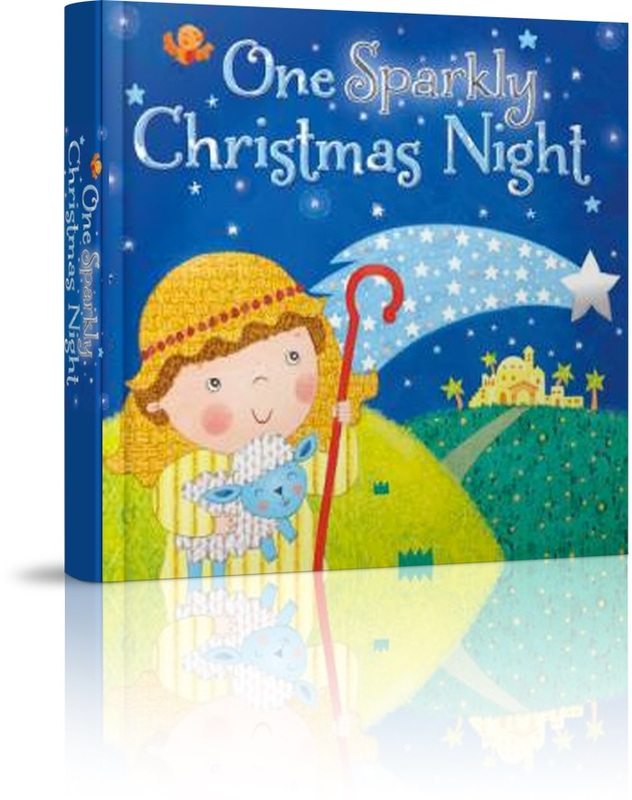 The nativity story told by a little shepherd boy with sparkly angels, twinkling stars and heavenly light. 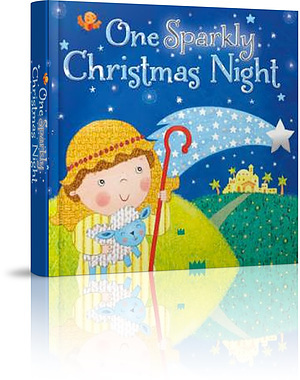 One Sparkly Christmas Night by Julia Stone will soon become your pre-school age child’s favourite Christmas storybook. Inside this sturdy little board book, your under 4s will discover for themselves the wonder and starry brightness of the first Christmas. Under a glittery, star filled sky that really does sparkle, children will travel to Bethlehem in company of their friend, the little shepherd, boy to discover the baby in the manger at the centre of the gospel nativity story. 6 double page spreads with glitter on every page open out to reveal sparkly angels, twinkling stars and a heavenly light as it shines and shimmers to welcome the birth of this very special baby. Told in simple words that perfectly match the clear and bright illustrations, the narration follows the shepherd boy as he is visited by an angel, meets the wise men and then finds the baby Jesus. This is a book for children and grown ups to share as little ones learn to love the Christmas story first through the tactile, glittery pictures, then through the telling of the story and then through reading it for themselves. One Sparkly Christmas Night by Angela Muss; Julia Stone was published by Lion Hudson in September 2013 and is our 14768th best seller. The ISBN for One Sparkly Christmas Night is 9780745962634. This is a beautifully illustrated children's board book that tells the story of the little shepherd boy at Christmas. It's simply narrated as it follows the shepherd boy as he is visited by an angel, meets the wise men and then finds the baby Jesus. What is truly delightful about this book are the illustrations by Angela Muss. They are bright, engaging and tactile wherever it sparkles and it is sure to capture the attention of its reader. What's also wonderful - it's sparkly without leaving glitter all over your hands, as any parent will tell you this is a huge plus in its favour. Overall a great book for younger children during the Christmas period. Got a question? No problem! Just click here to ask us about One Sparkly Christmas Night. A sturdy board book filled with Christmas wonder. 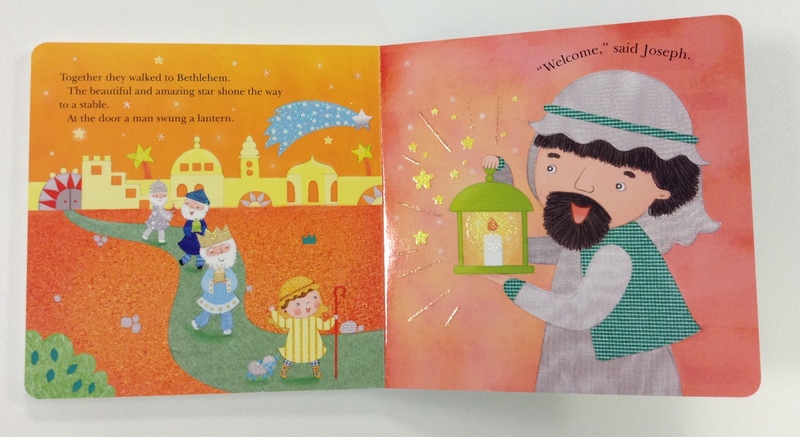 The story of the baby Jesus told by a little shepherd boy is presented over 6 double page spreads with glitter on every page. Sparkly angels, twinkling stars and heavenly light shimmers in this magical Christmas tale.